Are you looking for a ton of space? You'll have lots of room to roam in this big home. With lots of natural light, spacious rooms, a great fireplace, and a beautiful garden to enjoy, this place checks every box for a happy home. We think this is the perfect place for a group of students looking for a cool spot to share, or a big family looking for their happy place in Berlin. Hang out in the lovely garden— heavenly. Warm your hands beside the fireplace— toasty. With a washer and dryer at home, you'll finish your laundry in record time here. The floors in the living room and dining room are red— but it adds a bit of color to the home. 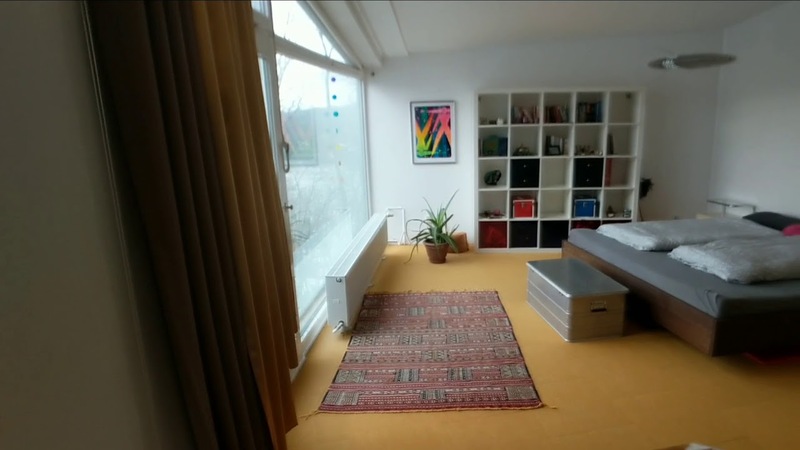 This is a fantastic 5-bedroom house on Am Rupenhornf, Berlin. It's big, it's bright, and it has lots of great extras— what's not to love? The location is nice— you'll be living beside the river in Westend, with several restaurants and parks nearby to enjoy. Tranquil. Hanging out in the garden— heavenly. Warming your hands beside the fireplace— toasty. Finishing your laundry in record time— you'll have a washer and dryer to use. Minimum stay: 10 months (300 days).